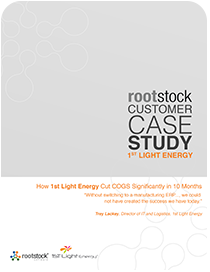 In early 2013, 1st Light Energy, a leading installer of custom-designed solar energy for residential, commercial, and public sector use, realized they needed a big change if they were going to continue growing. Dependence on QuickBooks, and all the manual data entry (and re-entry) that came with it was holding them down. It impeded all their backend operations.